In 2012, recognizing the value of political leadership to drive road safety strategies, His Excellency Abdullah Al-Mogbel, Chairman of International Road Federation (IRF), instituted an annual “Find A Way” Road Safety Award that recognizes outstanding personal commitment to safer roads by national, regional, or city government. The award winner is announced on May 10 every year on the anniversary of the launch of the Decade of Action. The winner of the IRF Find A Way Award will have demonstrated commitment to improve road safety through significant changes in government policy designed to reduce road fatalities and/or serious injuries on a country’s roads. These policies may be related any of the Five Pillars in the Decade of Action strategic plan. These pillars include motorist or pedestrian education, enforcement efforts, vehicle improvements, road improvements including use of best practices and state of the art technologies and/or emergency vehicle response methods. Nominations are now being accepted from IRF member organizations who many nominate any national, regional, or city government for the 2018 IRF Find A Way Road Safety Award. Submissions should include a short summary of the policy/action that clearly includes a description of the policy/action as well as the desired or observed outcome. Nominations must reach IRF (mdreznes@irf.global) by April 20, 2018. 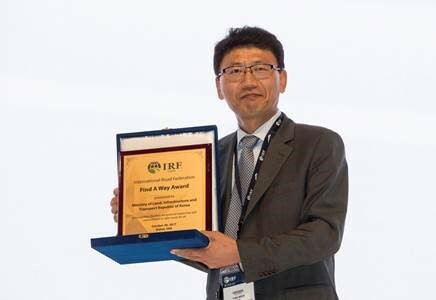 The Award will be formally presented on the occasion of the IRF Global R2T Conference & Expo in Las Vegas, on November 6, 2018.